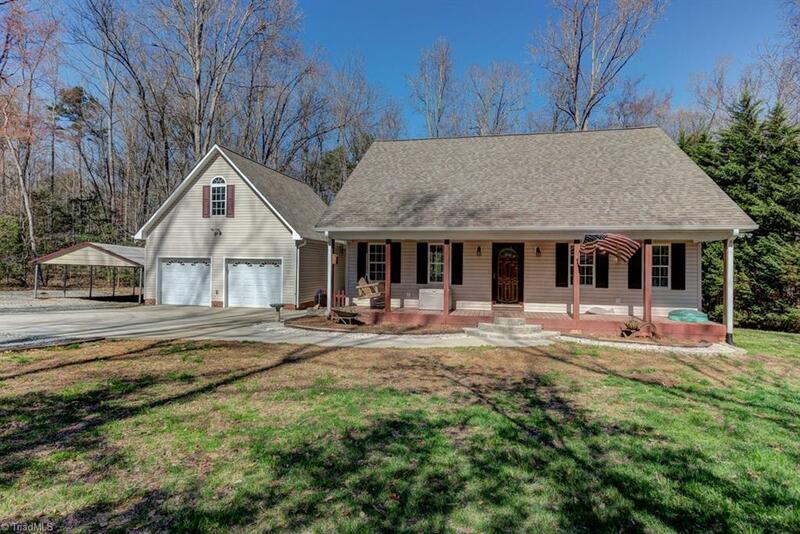 Hard to find, Move in ready house in 2+ acres, close to High Rock Lake. Hardwood floors through out, freshly painted. Nice big bedrooms, master w/walk-in closet. Winter Lake views, Desirable Central school district, Rocking chair front porch, covered porch on the back. 2 Car detached garage w/ addition living area over garage w/kitchen & bathroom. House is 1.5story w/ bonus room over garage. Perfect man cave or bonus room. (bonus room sq ft. inc under heated 3rd level) Carport does not remain.